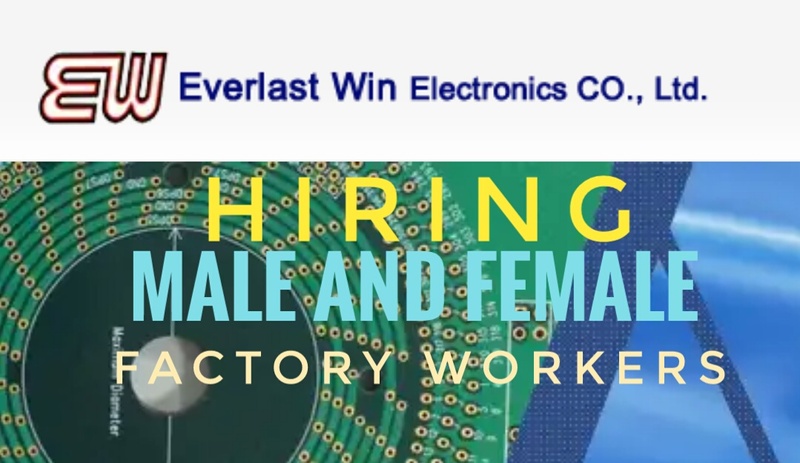 Company: Everlast Win Electronics Co. Ltd.
Everlast Win Electronics Co. Ltd. uphold the principle of good quality and with the fast delivery service no matter day or night. We response to the customer demands in rapidly and is well known in the electronics industry and because of we do our best to cooperate with customer demands and excellent process capability then appreciate by the customers. Visit and apply personally at 2000 Miles Placement Agency at Unit14 Don Graciano Bldg., Rodriguez Sr Ave., Quezon City, Manila. Hi..how to apply? Im from iloilo city. College graduate but no experience. Online Application do you have? To help us less travel expenses, please sent and help me. highschool graduate its ok? 9 yrs experience in electronics, previos company samsung electronics and fujifilm optics.